Visit log is a simple, easy and straightforward visitor management system and visitor registration system which was made by RIW software Technology. 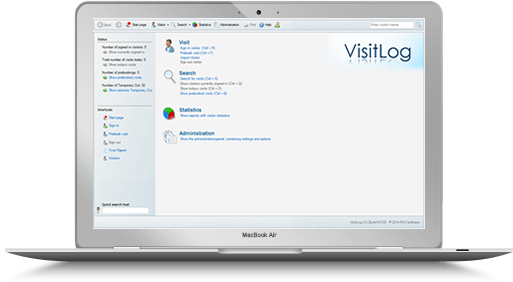 Visitlog welcome your visitors and stay informed concerning all visitors through whole day and it allows visitors to register . Automatically prints visitor’s badge,passes,name tags and create an overview of today’s visitor.Visitlog handles all the everyday exercises at receptionist. Best & Most Affordable Visitor System In Sweden For Visitor Regisration & Visitor Management.